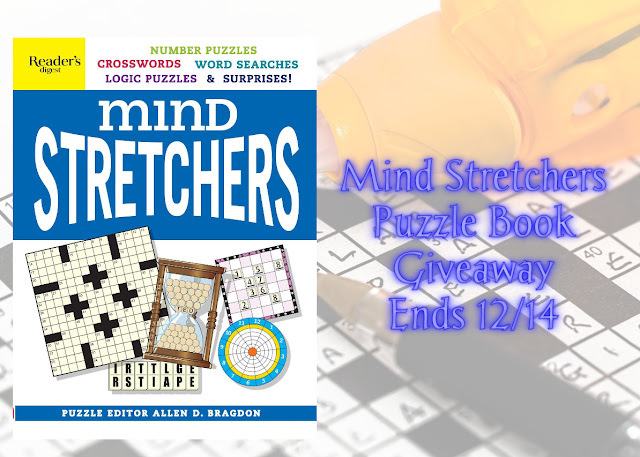 Get a full-brain workout with a new collection EVEN MORE mind stretching puzzles Now in its second volume this beloved series offers more teasers all designed to inspire and stimulate the mind. 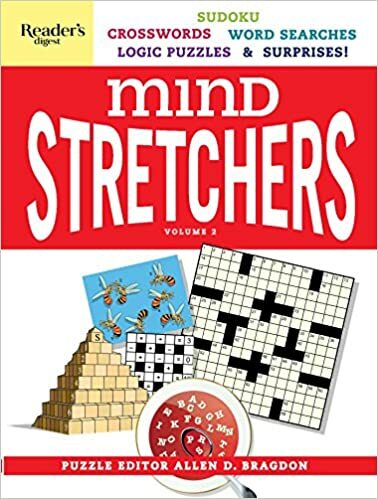 Switch off the TV, put down the phone and embrace Mind Stretchers—you’ll be entertained, learn new things, wake up your brain and it’s definitely more fun than watching the news. I don't know about you but I love books like these. We all like to play our Candy Crush or whatever big game you are playing on your phone but there is nothing like sitting down with a book and tackling these puzzles. They definite exercise the mind and as we get more and more engrossed in our virtual digital world I believe we all need to take a moment to unplug and be in the real world. Can you complete a whole crossword puzzle? I think it has happened 25 times in my life. It makes you feel good and stimulates the mind. These books are perfect because there is no way to get bored. It is not just crosswords, or a book of word finds or Sudoku. It is all of these and more. I have been working on Volume 2 of Mind Stretchers at lunch for the past week. It definitely is fun and my co-workers have been great getting involved in my puzzles and helping me to complete them. Instead of playing solitary on your phone, I have been laughing and socializing with friends who also love playing these games. Get a book, unplug and exercise your brain. Look for these books and more fun items on my Holiday Gift Guide located at the top of my home page. Great time passers. Like you said it is nice to unplug and this is a good way to unwind.